A tax break for property owned by companies working on space flight has been passed by the State Senate and Assembly and is now headed for the desk of Governor Jerry Brown. The new tax break, known as AB-777, was passed by the Assembly last week by a vote of 70-2. It exempts space-related businesses from paying taxes on “raw materials, work in process or finished goods” related to space flight. Space X is not the only company that will benefit from the new tax break, but it may be the most high profile at the moment. The Wall Street Journal, in a piece critical of the tax break, claimed CEO Elon Musk asked for the change to the law after Space X was hit with “a $2 million tax bill for two propulsion systems” last year. The Journal recommended eliminating California’s state property tax altogether rather than favoring select, politically connected industries. Some of the tax breaks may fall on other taxpayers. AB-777 notes that the California Constitution “requires the state to reimburse local agencies and school districts for certain costs mandated by the state.” In this case, if school districts are shorted funds because of the tax break, they can seek restitution from the state, i.e. from revenues gathered from other taxpayers. Space X is not the only space-related business in California. Aerojet Rocketdyne, the company that built the engines for the space shuttle, would also be eligible for the tax break. Divisions of Boeing and Space Systems Loral which build satellites might also be eligible. 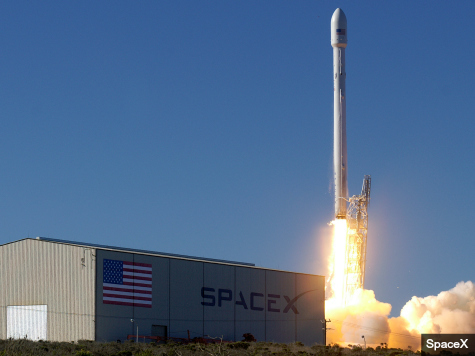 Space X was founded in 2002 by CEO Elon Musk, also the owner of electric car company Tesla. The goal of Space X is to deliver payloads to and from space and, eventually, to allow humans to “live on” Mars.